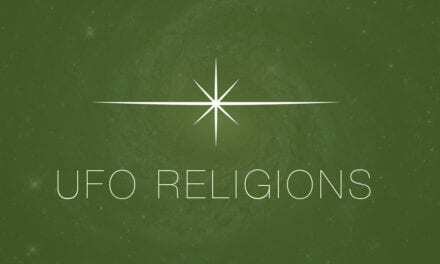 I just came across this Spooky Paradigm blog post listing masters theses and doctoral dissertations that have been devoted to ufological subjects. A subsequent post was devoted to ancient alien, alien abduction, and theosophical themes. Some of these titles have been published in book form. One caveat – I don’t actually know if the compiler used the UMI dissertation database, so I don’t know how complete these listings are. It’s still cool. I’ve combined the UFO and alien topic lists here. Enjoy, and hat tip to Spooky Paradigms! SPACE RAPTURE: Extraterrestrial Millennialism and the Cultural Construction of Space Colonization – 2004 PhD, Ryan Jeffrey McMillen, Univ. of Texas, Austin. Includes discussion of UFO-lore. Unheimliche Begegnungen. Entführungserlebnisse und Trancekult in der UFO-Szene. Mag. 1999, Natalie Kuczera (published by LIT-Verlag in 2004). About alien abduction experiences. Außergewöhnliche Erfahrungen. Konstruktion von Identität und Veränderung in autobiographischen Erzählungen – 2008 PhD, Christina Schäfer, Universität Freiburg i.Br. (published by LIT-Verlag in 2013). Schäfer discusses alien abduction experiences among other things. The Differentiation of Psychosis and. Spiritual Emergency – 2007 PhD, Monika Goretzki , Univ. of Adelaide. Includes discussion of alien abduction experiences. När de flygande tefaten landade i folkhemmet. En studie av ufo-mytens förändring i en svensk kontext – 2006 MA (? ), Jessica Moberg, Södertörns Högskola. Discusses narratives about UFO’s and extraterrestrials in the Swedish UFO-movement from the 1960’s until today. NextDid Muslims Discover America in 999 AD?